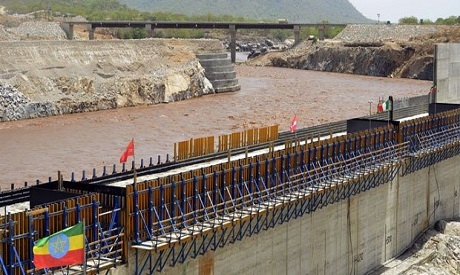 Egypt’s Minister of Irrigation and Water Resources and Mohamed Abdel-Ati said that negotiations on the Ethiopian Grand Renaissance Dam (GERD) are continuing, although no new developments have been reached. The minister said that a meeting in Cairo of the irrigation ministers of Egypt, Ethiopia and Sudan has been postponed due to the recent events and changes in the government of Sudan. The minister's remarks came during a meeting of the African Affairs Committee of the Egyptian House of Representative on Monday to discuss the GERD issue, especially within the current developments in Sudan. “It has been agreed to hold the meeting in the upcoming days but the date has not yet been decided," the minister said. For the past several years, Egypt and Ethiopia have been at odds over the construction of the $4 billion hydroelectric dam, which Cairo fears will threaten its Nile water supply. The project manager said last December that the dam is expected to be completed in 2022. However, the construction was delayed due to change in design to increase its generation capacity.